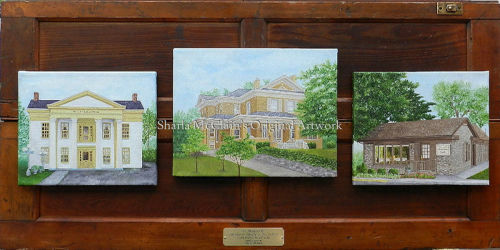 Sold - In the Collection of Ruth Darland, Shelbyville, Ky.
Trio of Oil Paintings mounted on Antique Wooden Shutter. 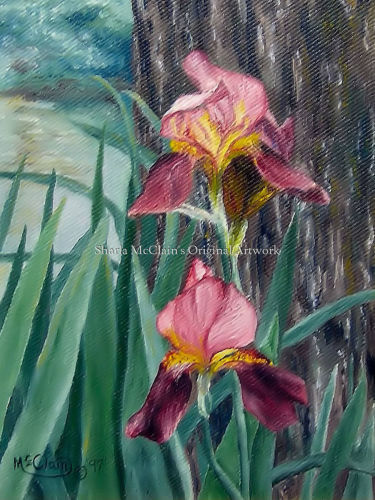 2, 5x5" and 1, 5x7" depicting scenes in Charleston, South Carolina. 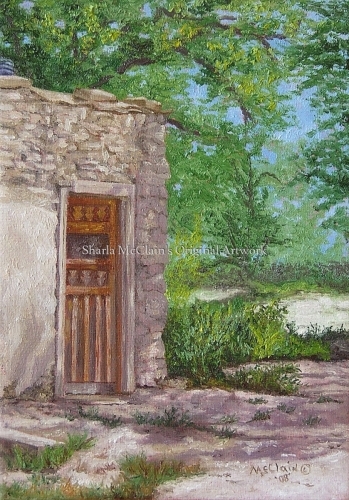 Sold - In the collection of Mary Kresin, Shelbyville, Ky.
Oil on Canvas, Adobe Building on Pueblo in Santa Fe, New Mexico area. 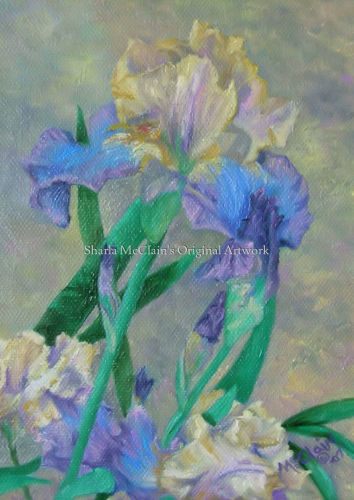 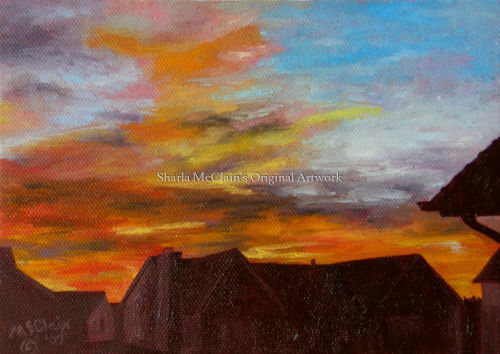 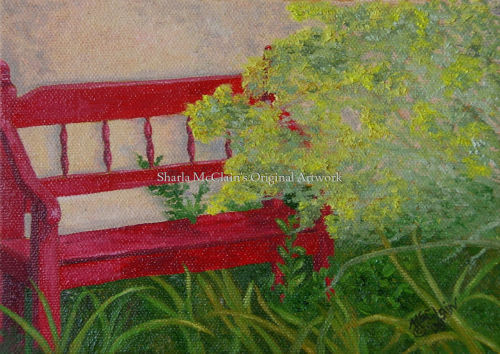 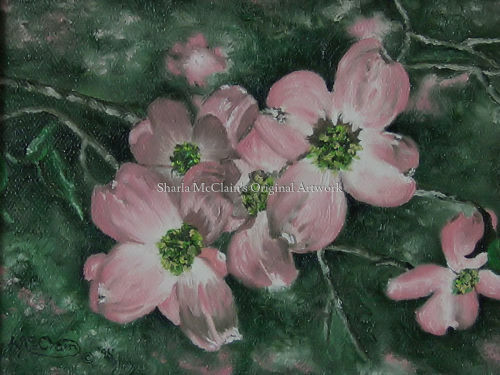 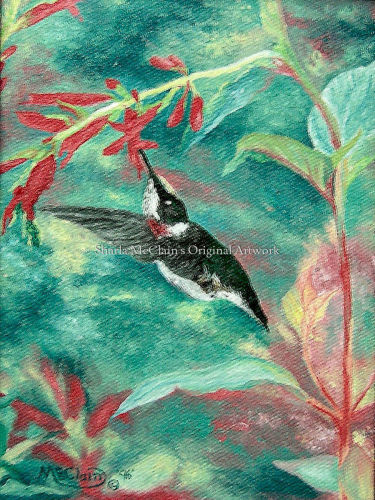 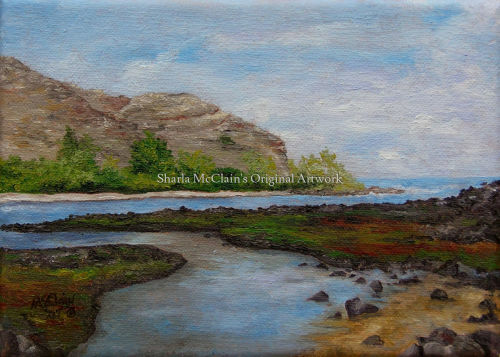 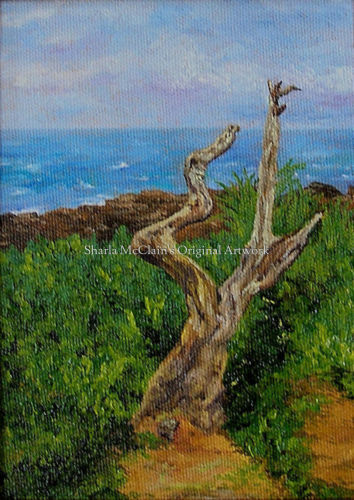 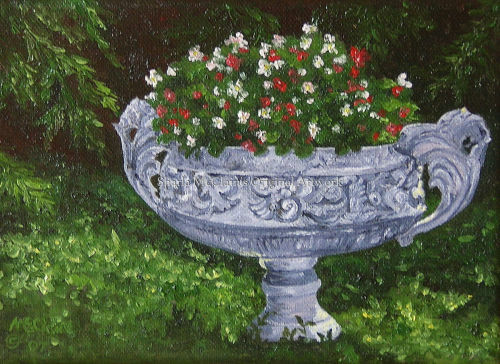 Sold - In the Collection of Stephanie Allison, Shelbyville, Ky.